D&M Communications has been in business for 25 years and counting. Being one of the most weathered professional cabling companies out there, we can say with confidence and certainty that we know exactly what we are doing, and we do it very well. Our commitment to excellence makes us different than everyone else in the cabling business; we like to say that we treat your equipment like it is ours. We will make sure to handle everything, even the smallest and least important pieces of equipment, with the utmost care and respect. Our expert technicians can troubleshoot any and all networking and cable issues and will fix the problems with ease, all in a day’s work. Since we care about saving your time and money, we will make sure to install everything perfectly the first time. Just in case, though, we will give you a follow-up call about a month after we install to make sure that everything is running smoothly. We will be happy to stay in touch with you to see to it that you’re always satisfied with all of your systems. When it’s time for a networking upgrade, we will send a tech out right away to assess your exact needs and give you several of the best and most cost effective options. As soon as you decide what will work best for you, your tech will install your brand new system. It is very important to us that you are always pleased with our service, so if anything goes wrong, give us a call–we will be there within 24-hours to fix it. 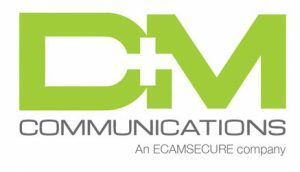 D & M Communications, Inc. is a leader specializing in the installation of low voltage structured cabling systems for Voice and Data equipment. Our strengths are our technical expertise in the PBX, LAN & WAN arenas. D & M Communications, Inc. has been in the business since 1985 and is located in Gardena, CA. Since then D & M has serviced hundreds of clients, from small businesses to Fortune 100 companies. D & M has a proven and unparalleled track record. With a virtual “Who’s Who” client base, D & M has become the contractor IT professionals look to for assistance in their offices and wiring upgrades. D & M Communications, Inc. is a member of the Latin Business Association and BICSI, with an RCDD on staff.